Our #1 priority is you the customer. If you ever have a question about our software or need help installing, email or call us. We are located in the Pacific Northwest and welcome AutoCAD® users from all around the globe to take advantage of our free priority support. Many CAD software packages we carry are also available for free download. Be sure to browse our thousands of CAD symbols and complete library packages available for you to try now! If you need help installing just ask us. We are happy to assist you. We offer the lowest prices to be found anywhere on CAD Software. Save big on AutoCAD®, AutoCAD® LT and the latest software utilities and block libraries! 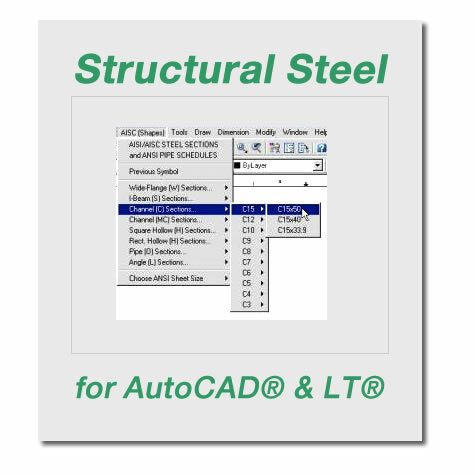 Most applications we offer run in the latest AutoCAD® 2014 release and earlier. Make sure to ask us about our alternative CAD solutions. This includes our popular CAD Standalone, CAD Viewer and DWG Converter – each offering full compatibility with the latest AutoCAD® release. Productivity awaits. Find a solution and get started now.